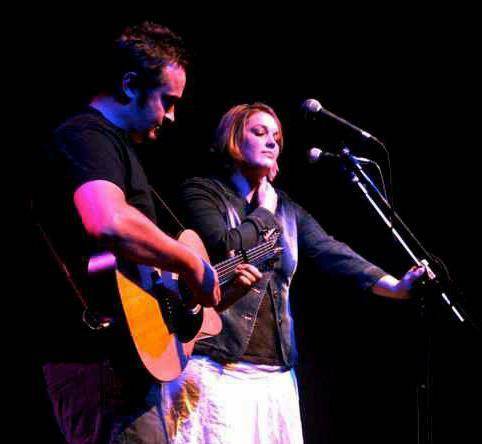 Husband and wife team, Stephen & Hannah have been involved in the music industry for years. With radio hits & albums under their belts as well as performing throughout New Zealand & overseas, what these two artists bring together will not fail to impress! This team have been labelled a duo like no other! "Page28 you rock!! Thank you so much for playing at the Takapuna Night Markets. The crowds loved you and we noticed the regulars coming back week after week just to sit on their blankets and enjoy your music (they certainly were not participating in our markets!) . You appealed to all genre's, young, old and in between with your fantastic collection of old and new songs. Being in a park had its challenges, but you showed up ready to entertain wind, rain or shine. You were awesome and sounded fantastic! We wish both of you all the very best for your future endeavors, it really was a joy having you play for us over the last 11 weeks." “ENTERTAINERS 'PAGE28' IMPRESS HOSPITALITY GET TOGETHER "Husband & Wife duo, Page28, impressed guests at a hospitality industry gathering at Speight's Ale House recently. Studio producer / recording engineer Stephen James has a musical background & plays just about any instrument including guitar, drums & keyboard. Vodafone NZ Music Award nominee Hannah Donald makes up the vocal component with songs ranging from Adele through to Pink. Page28 is available for corporate functions now." "What a dynamic duo you are! Thank You so much for the amazing job you did performing to our family & friends at Dobbo's birthday bash. People are still raving on about that fantastic night. We ALL agree, it was because of you two!. Your sound was outstanding, the songs were great & the variety suited everyone. Well done!!! You're the best!!!!" "Page28 were so easy to deal with, their music was amazing! Both very talented with amazing voices & we do not regret trusting them to perform at such a key part of our wedding. We loved their set song choices & wish we asked them to play even longer. We have had a lot of super positive feedback from our guests about Page28. I would not hesitate to recommend them to anyone." "Page28 made our evening one to remember. They were perfection; professional, organised and they had guests dancing from the first song. Their combined talent is enormous and I'm looking for an excuse to have them back".